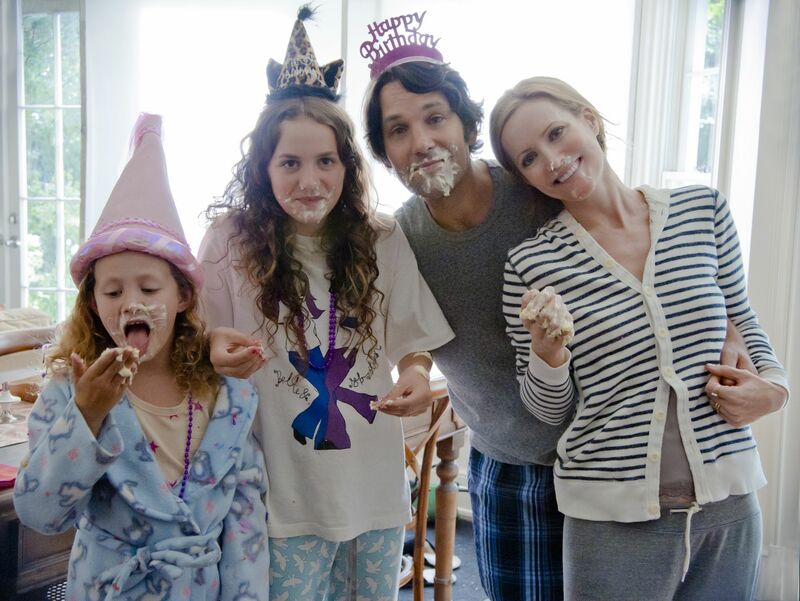 (L to R) Charlotte (IRIS APATOW), Sadie (MAUDE APATOW), Pete (PAUL RUDD) and Debbie (LESLIE MANN) in Judd Apatow’s ‘This Is 40.’ Courtesy of Suzanne Hanover/Universal Studios. After becoming the first female to snag the Best Director Oscar, Kathryn Bigelow has re-teamed with her “Hurt Locker” screenwriter Mark Boal for a controversial drama about the decade-long hunt for Osama bin Laden. Boal’s background as an investigative journalist seems to ensure that this film will be well-researched, wholly accurate and (contrary to right-wing pundits’ claims) politically unbiased. The excellent ensemble includes Jessica Chastain, Joel Edgerton, Mark Strong, Kyle Chandler, Édgar Ramírez and Mark Duplass. Four years after his marvelous feature debut, “In Bruges,” acclaimed playright-turned-filmmaker Martin McDonagh returns behind the camera for another dastardly dark comedy. Colin Farrell (who delivered career-best work in “Bruges”) stars as a screenwriter who becomes entangled with a group of shady characters after his buddies steal a formidable gangster’s pet Shih Tzu. Woody Harrelson replaced an uncooperative Mickey Rourke as the head gangster, and is joined by Christopher Walken, Sam Rockwell, Tom Waits, Abbie Cornish and Gabourey Sidibe. In the midst of a rather tranquil lineup at this year’s Cannes Film Festival, Leos Carax’s wildly audacious picture received the most rapturous yet divisive response from festivalgoers. So far, the plot has proved impossible to summarize. It looks like some sort of crazy, dreamlike, Lynchian odyssey into the unknown, complete with shifting identities, noir landscapes and musical numbers by Kylie Minogue (no joke). The lead actor, Denis Lavant, plays at least seven characters, while Eva Mendes turns up as a kidnapped singer. After producing Kristen Wiig’s hugely successful comedy, “Bridesmaids,” and Lena Dunham’s groundbreaking HBO series, “Girls,” Judd Apatow will deliver his first directorial effort since 2009’s ambitious yet underwhelming “Funny People.” It revisits the lovable couple played by Paul Rudd and Leslie Mann (Apatow’s real-life wife) in the great 2007 comedy, “Knocked Up,” as they brace themselves for their impending 40th birthday. Albert Brooks makes a welcome return to comedy as Rudd’s pop, while Chris O’Dowd, Melissa McCarthy, John Lithgow, Jason Segel, Robert Smigel and (yes) Lena Dunham round out the spectacular cast. It’s been a full ten years since Tom Hanks has been genuinely compelling on film. After seducing the world and earning two consecutive Oscars, it seemed as if Hanks had lost the hunger to truly stretch himself as a performer. Yet if the astonishing five-minute trailer for the audacious adaptation of David Mitchell’s novel is of any indication, it appears that Hanks has found the ideal project to reawaken that hunger. This epic portrait of parallel timelines could mark a much-needed comeback not only for Hanks, but for co-stars Halle Berry and Hugh Grant, as well as filmmakers Andy and Lana Wachowski, who share directing credit with Tom Tykwer (“Run Lola Run”). At age 26, Lena Dunham has already made one of the key films of her generation (“Tiny Furniture”) and created one of the most insightful and blisteringly honest shows about young adulthood in television history (HBO’s brilliant “Girls”). Before the year is done, Dunham has another achievement up her sleeve: co-writing Ry Russo-Young’s enticing drama about a young woman (Olivia Thirlby) who infiltrates the lives of a seemingly content couple (John Krasinski and Rosemarie DeWitt). If this film is a fraction as interesting as Russo-Young’s 2009 feature, “You Won’t Miss Me” (which marked the screenwriting and major acting debut of Julian Schnabel’s daughter Stella), this will surely be one of the season’s must-see movies. At this year’s Cannes Film Festival, director Michael Haneke became the first person to win the Palme d’Or twice within a mere three-year period. The last time he won the festival’s top prize, it was for his spellbinding 2009 masterpiece, “The White Ribbon,” which was the director’s most complex and emotionally resonant film to date. His new film, “Amour,” promises to be even more character-driven and tenderly observed, though its subject matter is no less unsettling. It centers on a couple (played by screen legends Jean-Louis Trintignant and Emmanuelle Riva) whose close bond is tested by the wife’s deteriorating health. Haneke’s frequent collaborator Isabelle Huppert co-stars as the couple’s icy daughter. I can’t remember the exact time I first heard the rumor that Steven Spielberg was going to make a film about Abraham Lincoln, though I know that I was still in high school. That was back when I considered Spielberg one of the greatest living American filmmakers, yet his output in recent years has been so disappointing that it’s made me worried about the fate of this much-belated project. Still, he’ll have to try really hard to screw this picture up. You won’t find a more committed actor than Daniel Day-Lewis, and his portrayal of the immortal president is sure to be exemplary. Plus, the source material is peerless: Doris Kearns Goodwin’s “Team of Rivals.” Screenwriter Tony Kushner (“Angels in America”) chose to focus on the last four months of Lincoln’s life, which have never been thoroughly portrayed on film–until now. 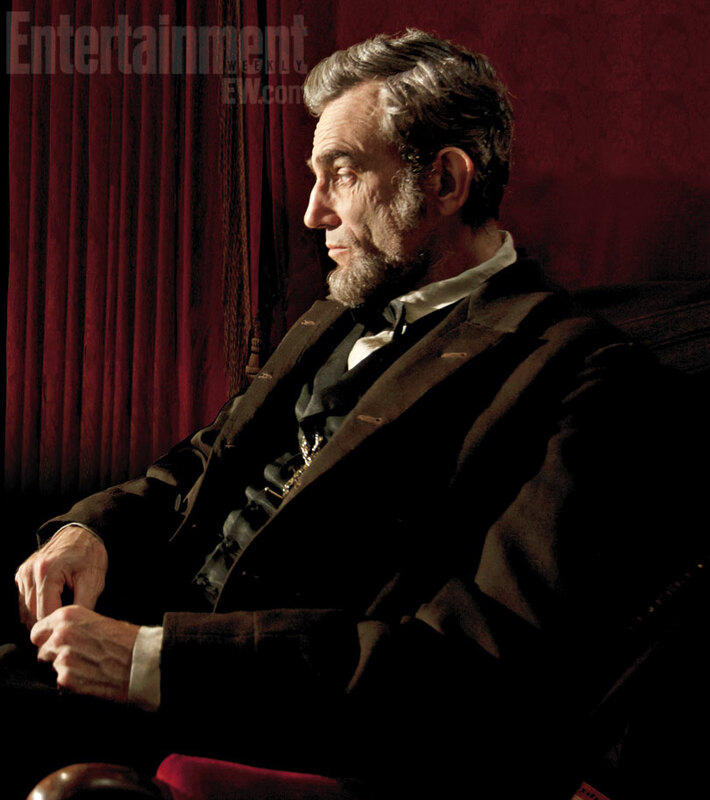 Entertainment Weekly’s sneak peek at Daniel Day-Lewis in Steven Spielberg’s “Lincoln.” Courtesy of David James/Entertainment Weekly.